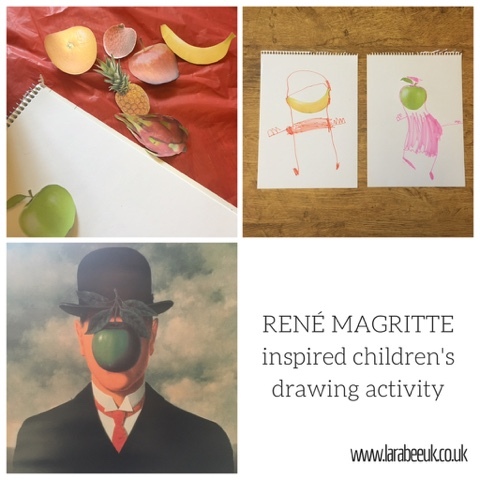 I've been a fan of René Magrittes work ever since I first saw it featured in the film Thomas Crown Affair, so it was only right that when I was given the opportunity to join the exploring famous artists blog hop I chose an activity based on Magrittes work. 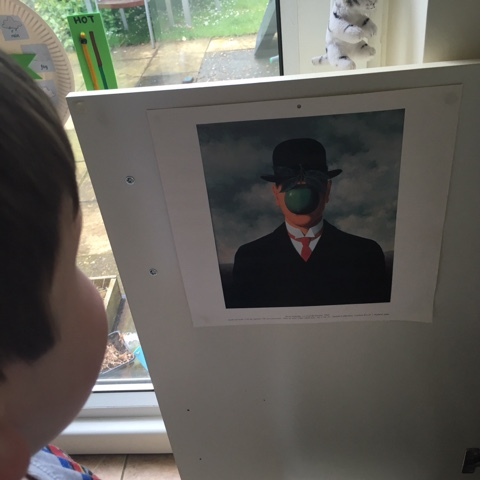 I chose the 'Son of Man' as our inspiration, to set the scene for this activity I showed T a copy of the painting we were basing our activity on. 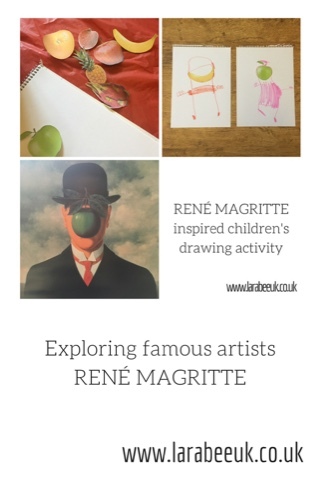 And we also looked at various other Margitte works of art - warning, some are not really appropriate for small children so I googled first and saved the ones I wanted to show him! 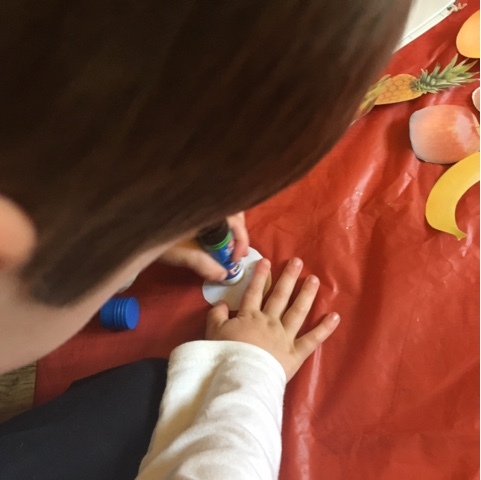 There's no special equipment needed for this and it's super quick to set up. 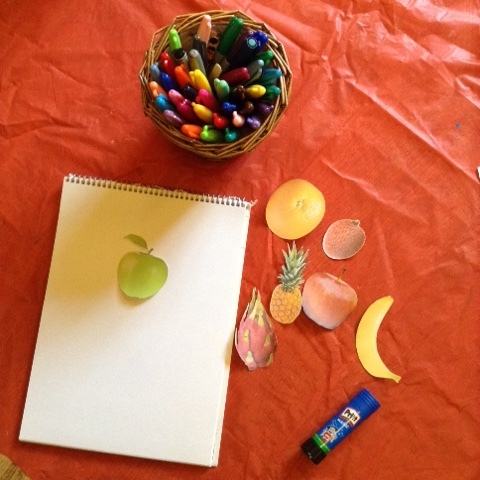 I printed off various fruits and T stuck them to a piece of paper. 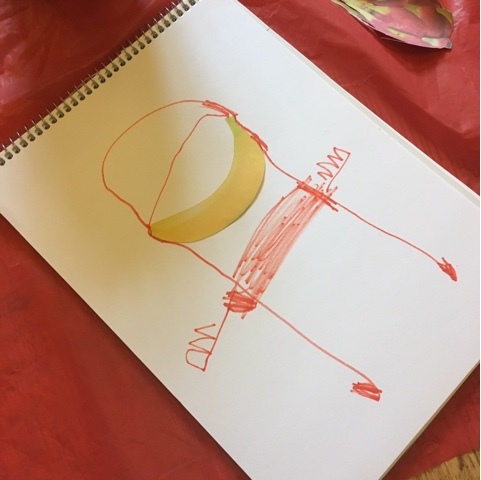 He then draw a 'person' (this is me!) to go with the fruit face. 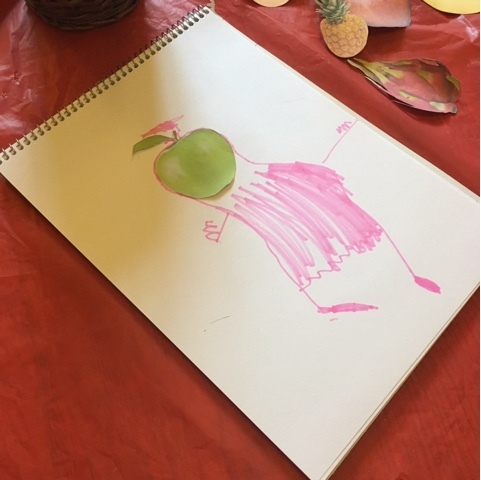 We kept this simple as T is 4 1/2 however, it could easily be extended to include self portraits or discussing why each fruit is chosen. 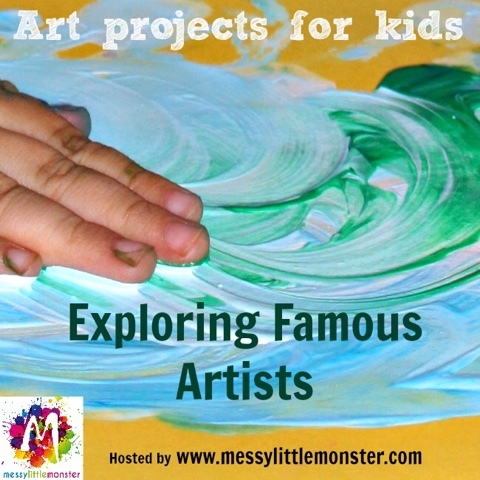 Have you studied any of the great artists with your little ones? 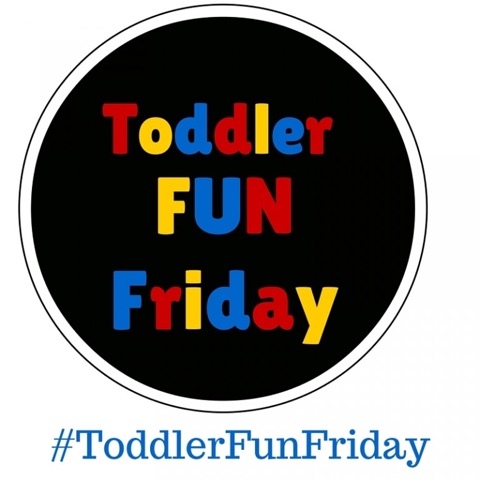 I'd love some suggestions for my next activity! We've joined Messy little monsters for this post.